As I wound my way across West Virginia towards Kentucky, I spotted a few great pink roadside attractions. 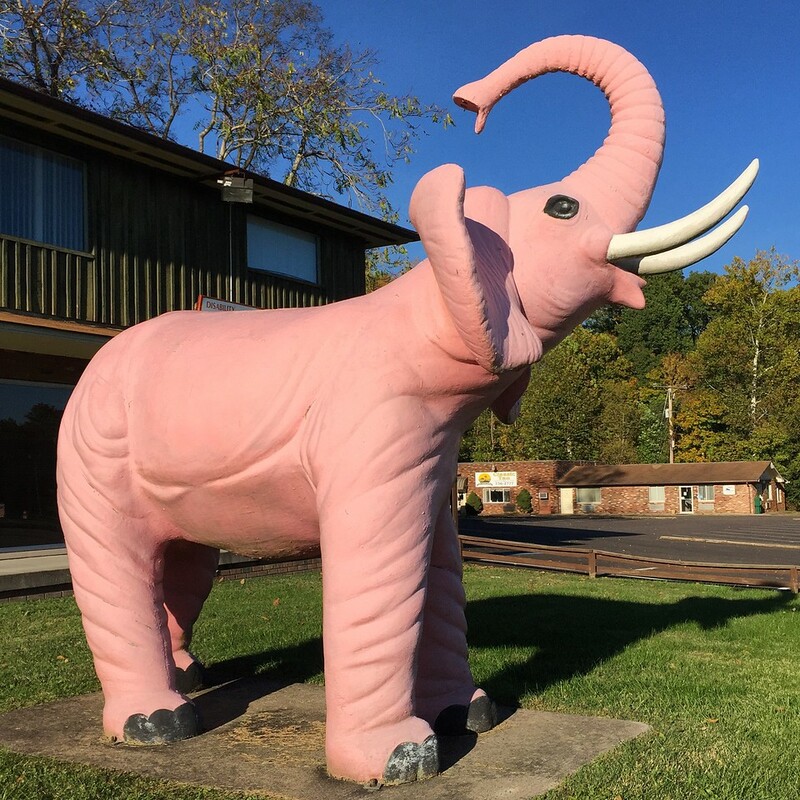 A super-duper pink elephant in Barboursville on Route 60. 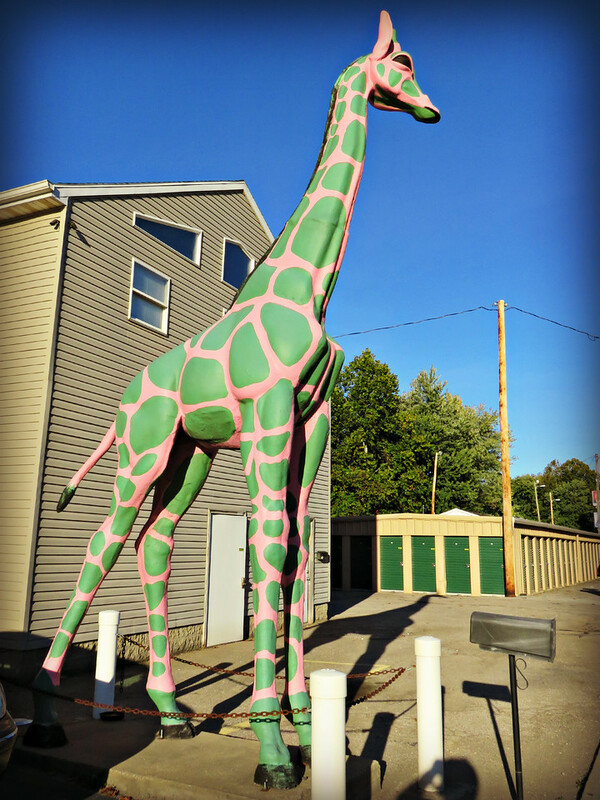 Just down the road from the pink elephant in Huntington, WV is a pink giraffe with green spots. Naturally. 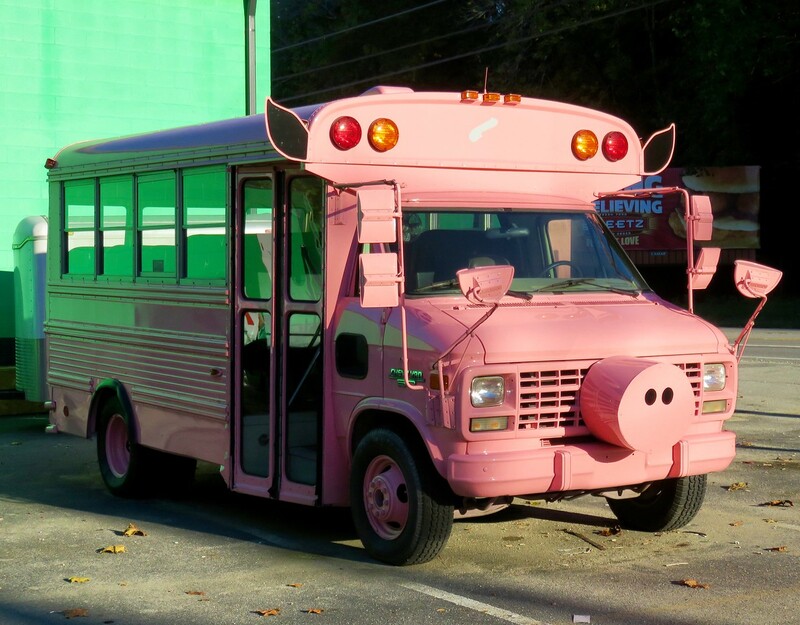 And smack in between the two I spotted this pink pig bus, also along Route 60. An oinking horn would be awesome. I love all of these. Great finds. Serendipity strikes! I love it when that happens. I keep feeling like i need to mount my phone so I can look at it while I’m on the bike to find “stuff”. I currently don’t do that and leave it in my tankbag or pocket. Is yours mounted? Nope. It’s in the tank bank, connected to the charger while I ride. Now you’re talkin’… odd roadside attractions… in pink?!!! In my next life, I want to come back as a good luck charm hanging off your handlebars. To go everywhere with you and see the amazing sights. I’ll be a good luck charm, too, hanging off the opposite side to help balance her out. I’m totally picturing a pair of glittery, shiny handlebar streamers like those on kids’ bikes back in the day. If those aren’t good luck magnets, I don’t know what is. The only thing cooler is playing cards in the spokes (I’d ask to be those, but they’d be pointless on a real motorcycle).